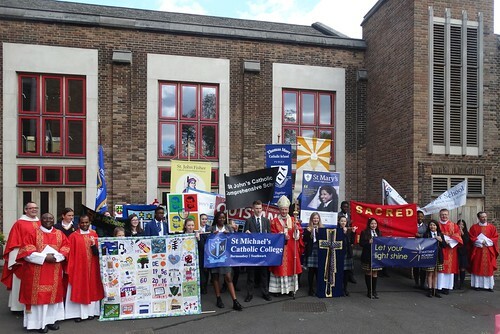 In attendance were over 400 young people representing more than 20 Diocesan Secondary Schools, many of whom played an active role in the Mass. 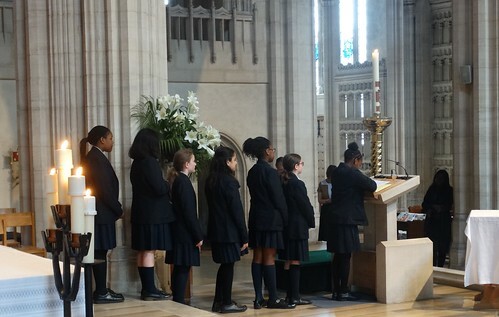 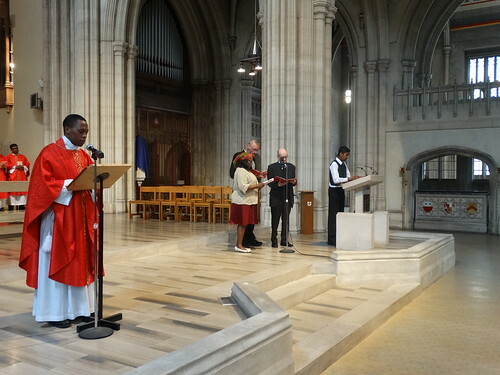 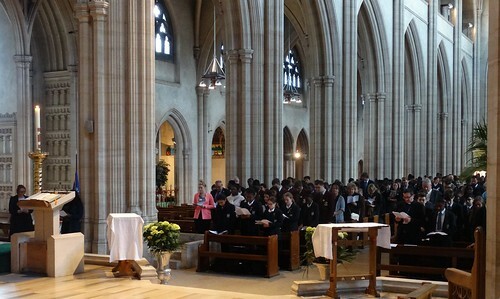 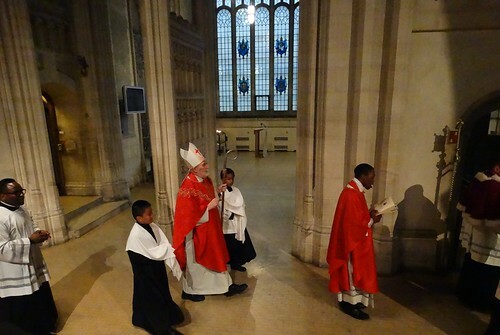 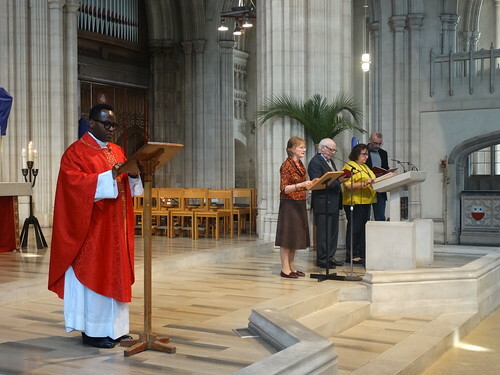 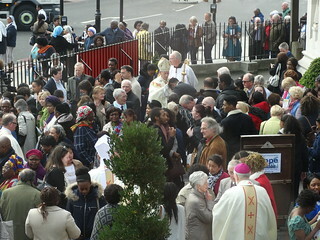 The Good Samaritan Mass was organised as a joint effort of the Education Commission and the Westminster Catholic Children’s Society to celebrate all the charitable endeavours which occur in Diocesan Secondary Schools, with particular emphasis on fundraising and awareness of the Southwark Crisis Fund. 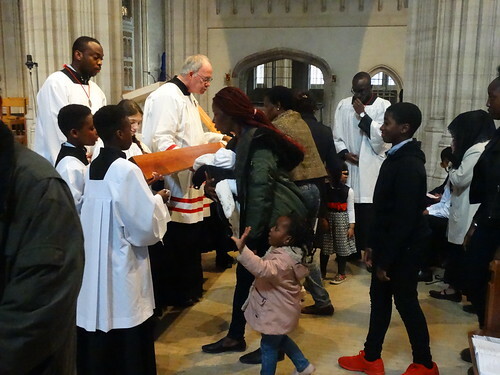 The Southwark Crisis Fund was launched November 2015 by the Westminster Catholic Children’s Society and Archbishop Peter Smith and provides one-off grants to support families living in Southwark where a relatively small amount of funding can make a big difference. 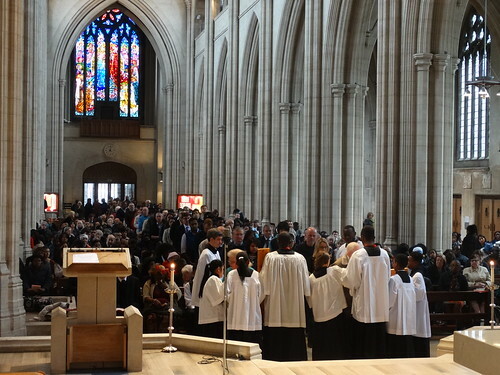 The much acclaimed Italian tenor “Voice from Assisi” Friar Alessandro, is visiting London in May. 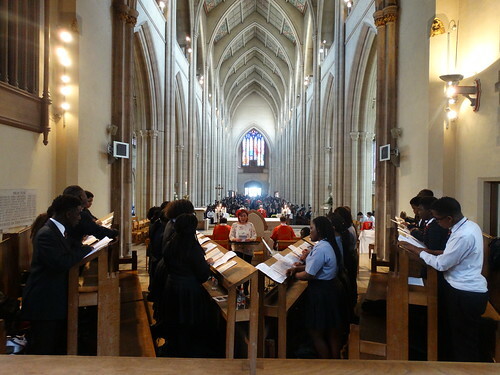 Archbishop Peter is pleased to be able to welcome Friar Alessandro to St George’s Cathedral for a fundraising concert. 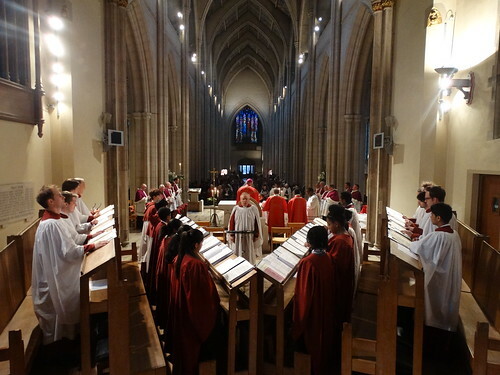 This will be an evening performance on Saturday 6th May, 7.45pm to 9.15pm (doors open at 7.15pm). 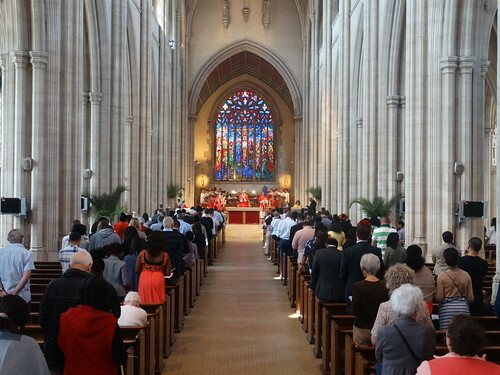 An appeal for donations will be made at the event and monies raised will go to support CAFOD’s East Africa Crisis Appeal and Caritas Bakhita House. 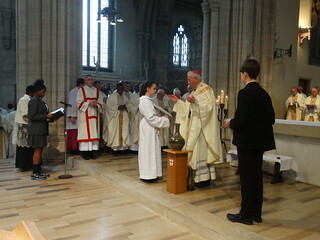 The Chrism Mass is the main annual liturgical celebration where people from all over the diocese gather to celebrate the Eucharist with the Archbishop. 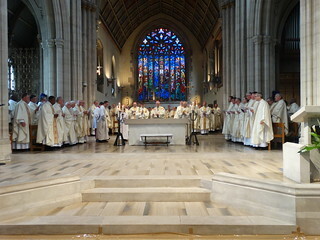 It took place in its customary venue of Metropolitan Cathedral Church of St George, home of Archbishop Peter’s episcopal Cathedra. 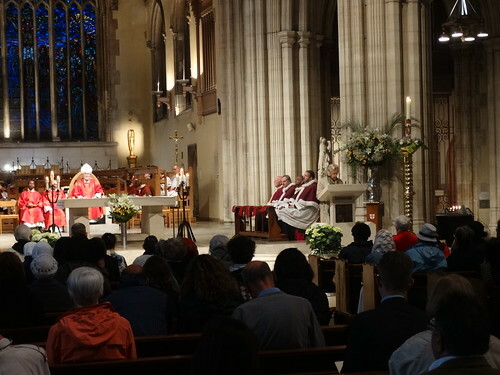 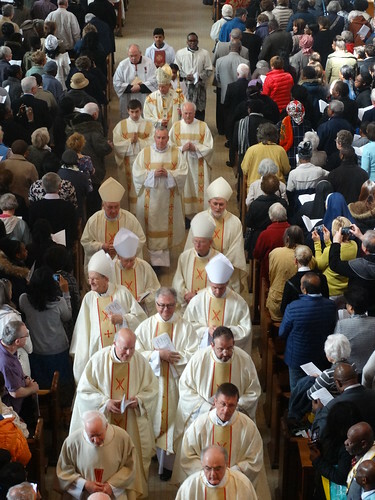 It is the largest regular gathering of clergy based in the diocese, and this year over 250 were present for the Mass, in a very full Cathedral. 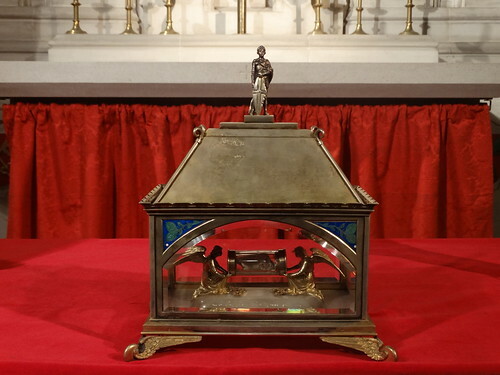 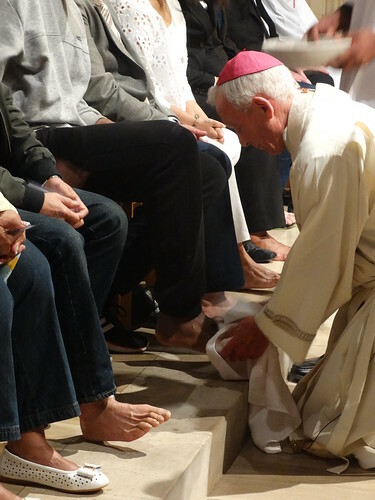 At this Holy Week Mass the Archbishop blesses and consecrates the three oils which will be used in the sacraments over the forthcoming year: the Oil of the Sick, the Oil of Catechumens, and the Sacred Oil of Chrism. 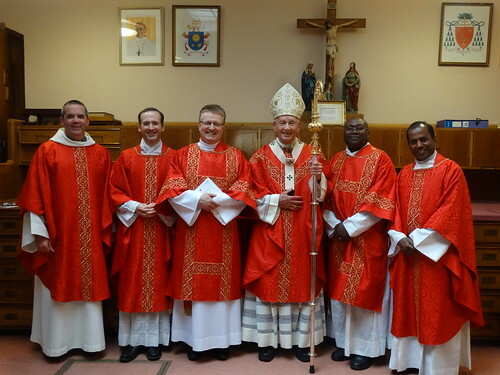 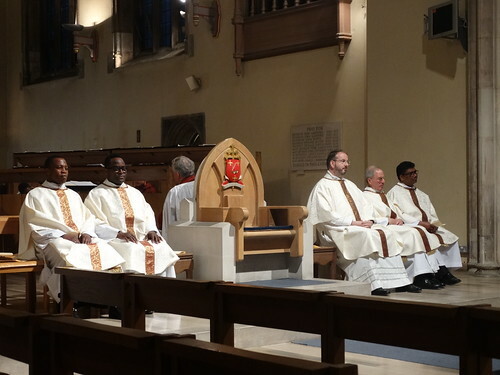 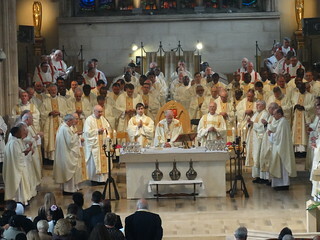 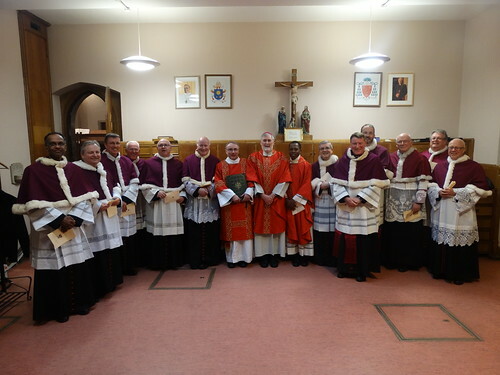 The priests who gathered with Archbishop Peter also renewed their ordination promises. 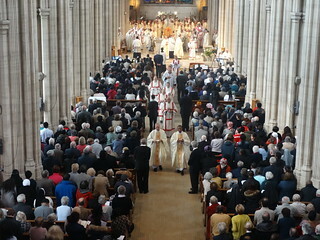 The congregation was supported in their singing by the Diocesan Choir, formed by about 100 people from parishes around the diocese. 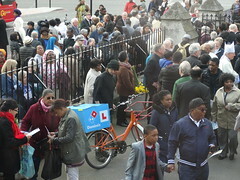 "No Parking" - an unexpected visiting bicycle!